Religion offers the student a chance to study Biblical Interpretation, the Old and New Testament, Synoptic Gospels, Comparative World Religions, and prepares the student for vocations in the Ministry of the Church. Those completing this process may go on to serve as religious education instructors, catechists, counselors in religion or biblical interpretation, or as pastoral care chaplains. Theology offers foundational studies for Chiropathy and specialization studies for the Ministry and Theological Studies. Various theological disciplines are studied such as dogmatic theology, moral theology, systematic theology, sacred theology, and for those desiring eventual ordination liturgical theology. Ministry prepares the student for a life of service to God, the Church, and the faithful who belong to both. Seminarians study Religion, Theology, Canon Law, Patristics, Clinical Pastoral Counseling, Church History, Apostolic Fathers and Ecumenical Councils, Civil Law & Religion, Liturgics, Biblical Studies, Ethics, and Philosophy. 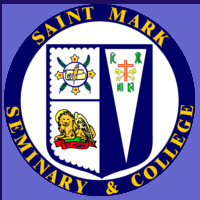 St Mark Seminary & College will review any eligible applicant for a Licentiate (undergraduate degree equivalent) who may lack a diploma for certain reason(s), but who has academic and independent education that can be used for a credit review and transfer. Some may be required to complete minimal requirements depending on the evaluation. Others may have enough credit to satisfy degree requirements by completing a graduation project.